The Sokoto State Executive Committee of All Progressives Congress (APC) has passed a vote of no confidence on the party’s National Vice Chairman, North West, Malam Inuwa Abdulkadir. A statement signed by the state’s APC Chairman, Alhaji Bello Danchadi disclosed this on Sunday in Sokoto. NAN reports that Danchadi said the decision was taken after a meeting in Sokoto. “The executive committees of the party and their chairmen in the 23 Local Government Areas (LGAs) of the state, as well as elected national and state House of Assembly members under APC umbrella, made the decision during a meeting in Sokoto. ”The committee members condemned the actions of the National Vice Chairman in charge of the zone, Malam Inuwa Abdulkadir, and unanimously passed a vote of no confidence on him, sequel to sustained and flagrant anti-party activities. ”The party regretted that, Abdulkadir has continued to romance and openly work for the opposition party, rather than his supposed party, the APC. 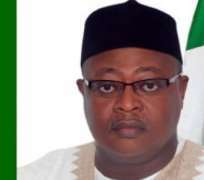 ”The leaders of the party have therefore called on the national leadership of the APC to urgently do the needful, take all the necessary steps to remove Abdulkadir from office,” he said. According to him, the APC committee also passed a vote of confidence on the leadership of Sen. Aliyu Wamakko (APC-Sokoto) in the state. Danchadi expressed reservation over acts of intimidation against civil servants perceived to be sympathetic to the APC by the State Government.